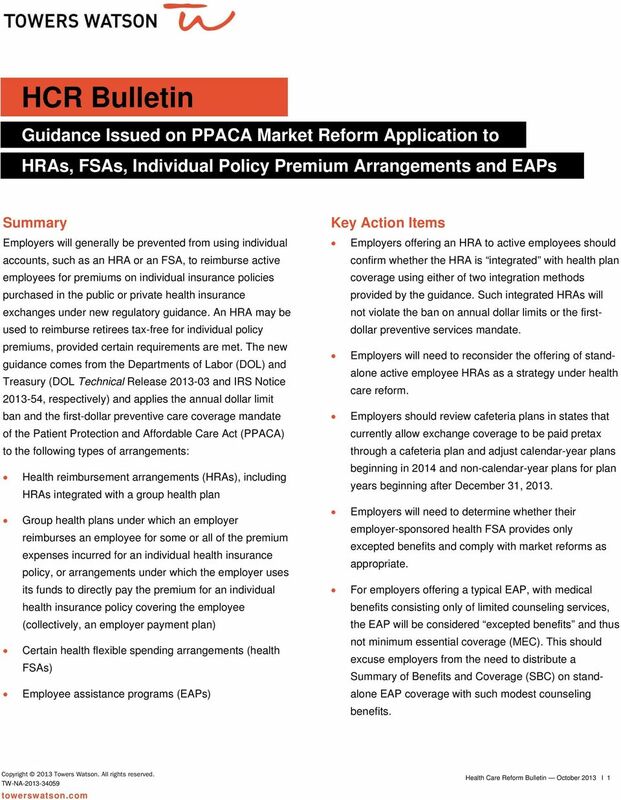 Download "HCR Bulletin. 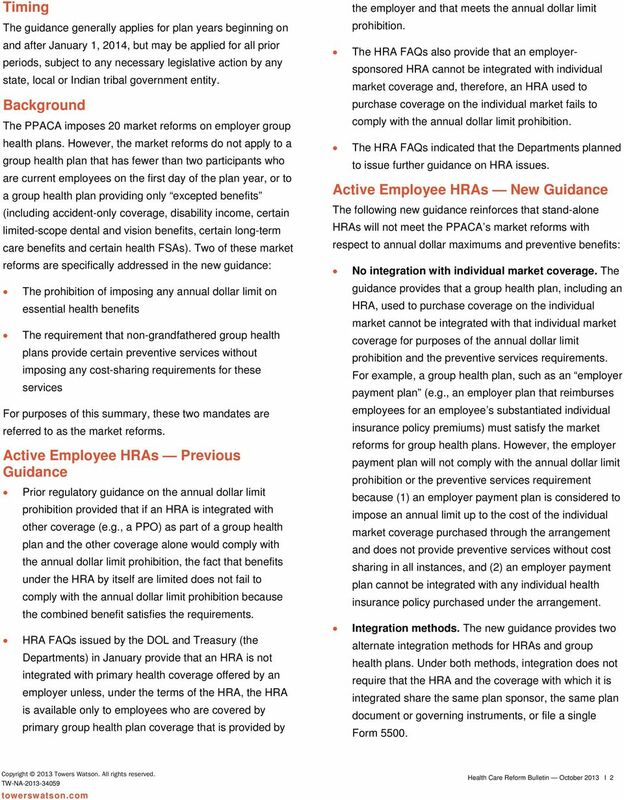 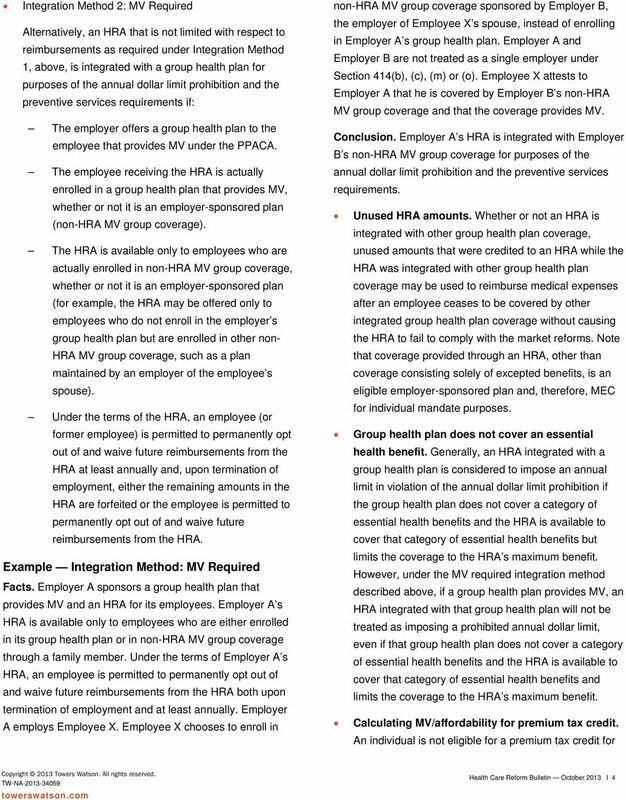 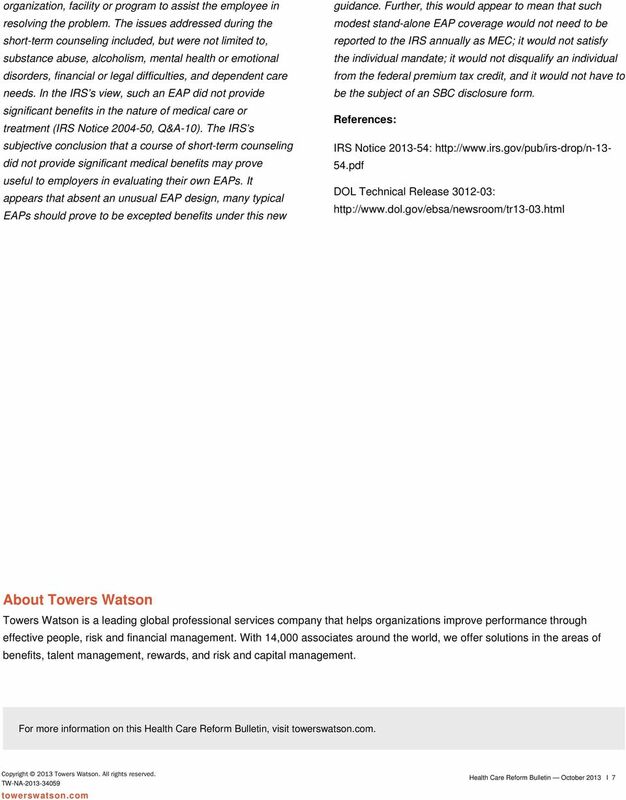 Guidance Issued on PPACA Market Reform Application to HRAs, FSAs, Individual Policy Premium Arrangements and EAPs." 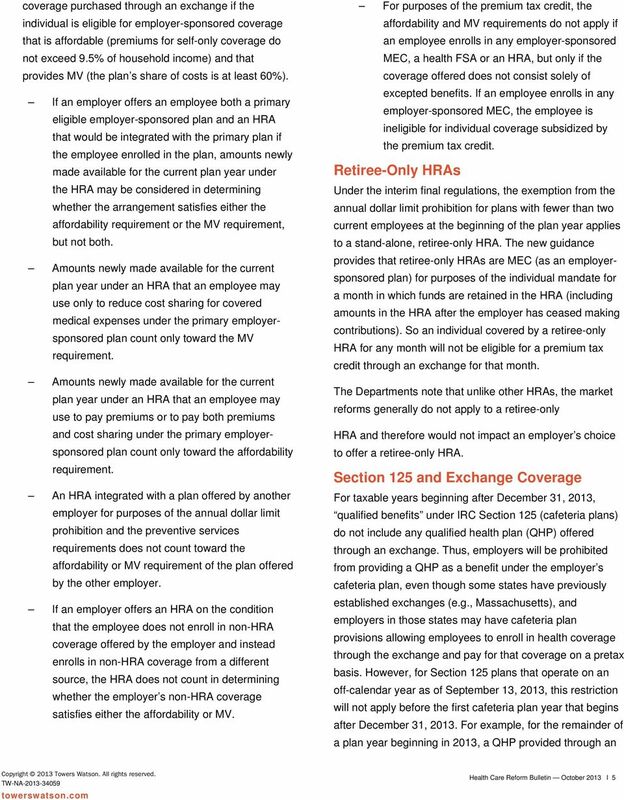 Health Care Reform. 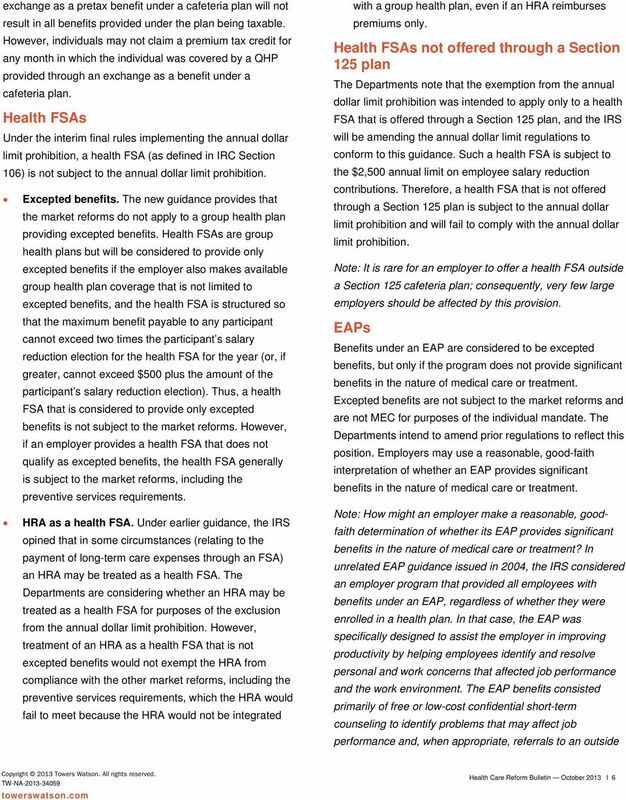 Guidance on PPACA Annual Dollar Limit Waivers, Provider Nondiscrimination, Clinical Trials and Transparency Reporting. 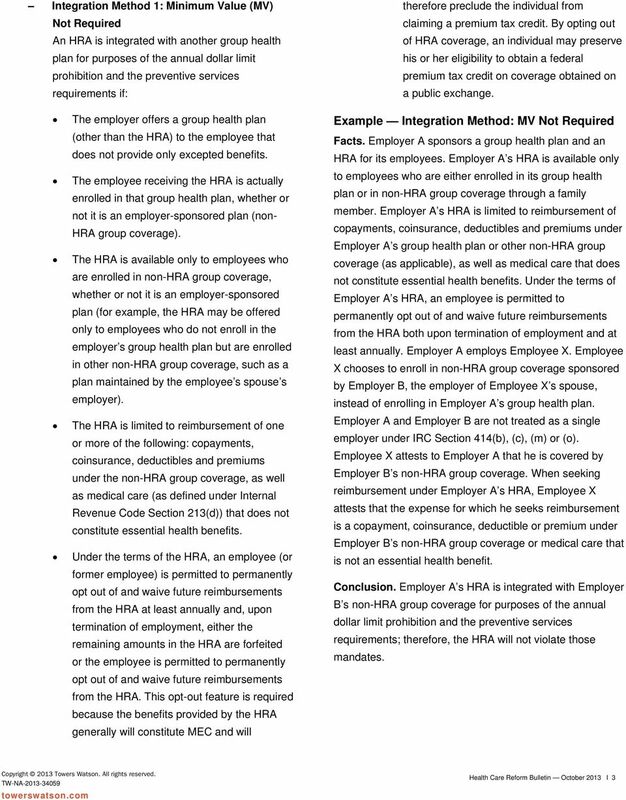 1 YEAR IN 1 YEAR IN HEALTH-CARE REFORM & GROUP HEALTH PLANS by CHRISTOPHeR S. SeARS AND TARA S. SCISCOe Ayear has passed since the president signed the Patient Protection and Affordable Care Act (PPACA).